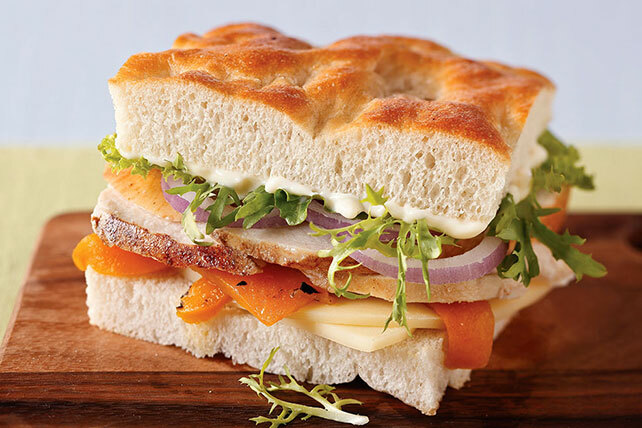 When your usual grilled chicken sandwich just won't cut it, do it up bistro-style! Serve with roasted peppers and provolone on split focaccia bread. Spread cut sides of bread with mayo. Substitute roasted red peppers for the yellow peppers.